bet you love denim jackets. I know I do. They are tough and look stylish on just about everyone and everything. A trucker jacket is a perfect piece for all seasons. If you are thinking of buying one, be sure to take your time. This will ensure you buy the best trucker jacket that will keep on trucking for years. 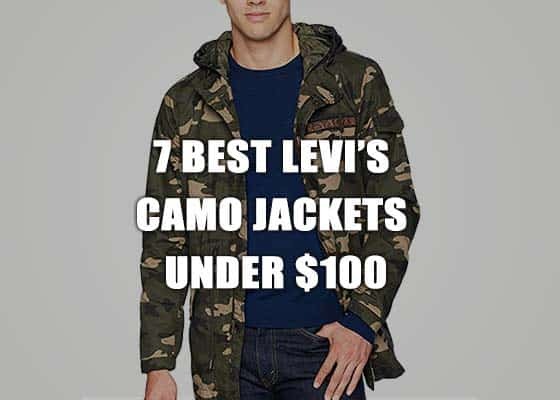 To make your shopping easier, we made a list of the top nine best trucker jackets in the market. Take a look. You can’t go wrong with a Levis trucker jacket. With more than 150 years in the industry, these guys know enough about outwear. 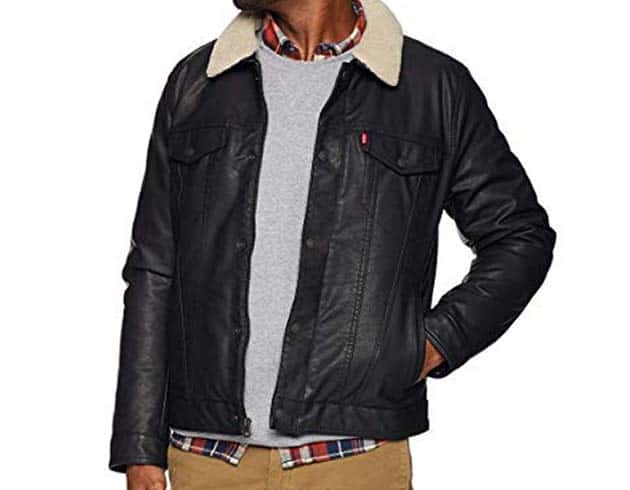 This buffed leather trucker comes with a removable Sherpa collar giving it an attractive winter look. The soft quilted lining plus the front zipper and button closure will keep you feeling warm and snag during cold weather. With great details on the pockets and buttons, this is one of the best trucker jackets. It surely gives an urban spin to any outfit. 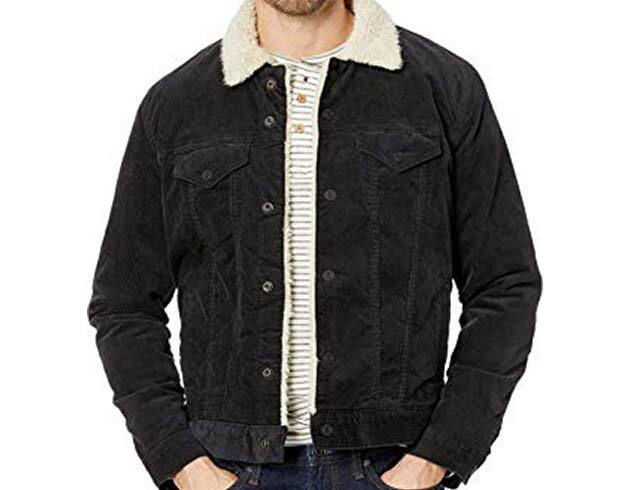 Another Levis jacket that comes with a stylish corduroy American feel. 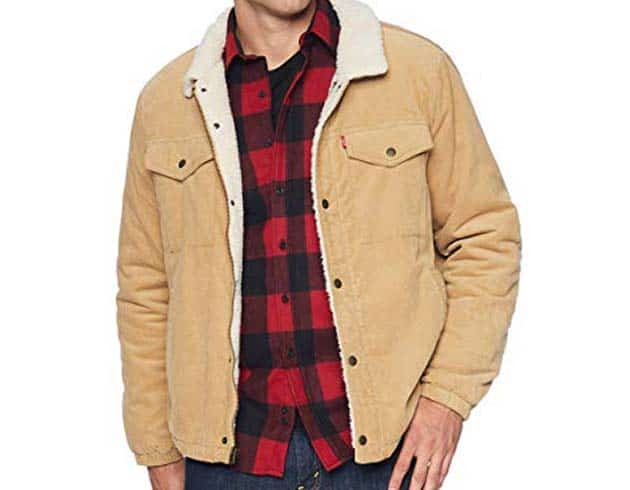 This Sherpa lined trucker jacket will keep you warm during those cold winter days. The flap pockets with snaps and the elastic cuffs give this jacket a unique flavour. It comes in black, tan, and brown colours that evoke feelings of reliability and sturdiness. 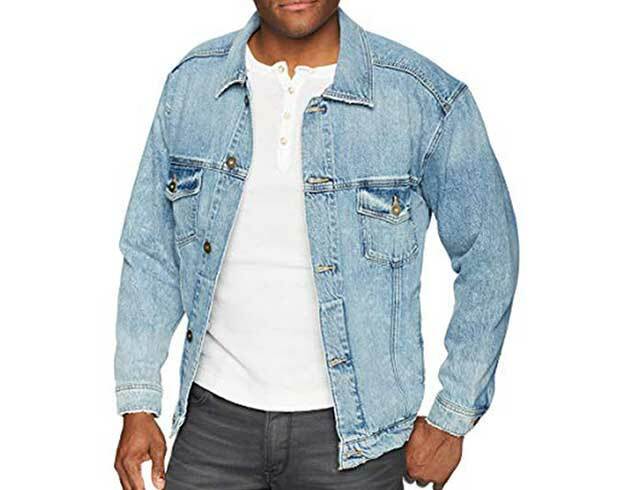 Pair this Levis trucker Sherpa jacket with a pair of tough-looking pants for an attractive look. The Lucky Brand trucker jacket stays true to the all-American denim spirit. The denim used is soft, drapes perfectly, and won’t fade. The contrast stitch detail makes this refined jacket pop. The closure buttons on the front and the arms of the jacket give it the smart casual look. 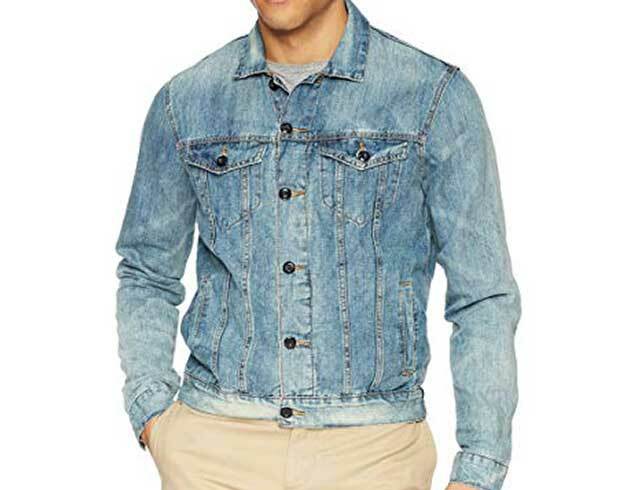 Featuring chest flap pockets and long sleeves, this denim jacket is authentic and stylish. 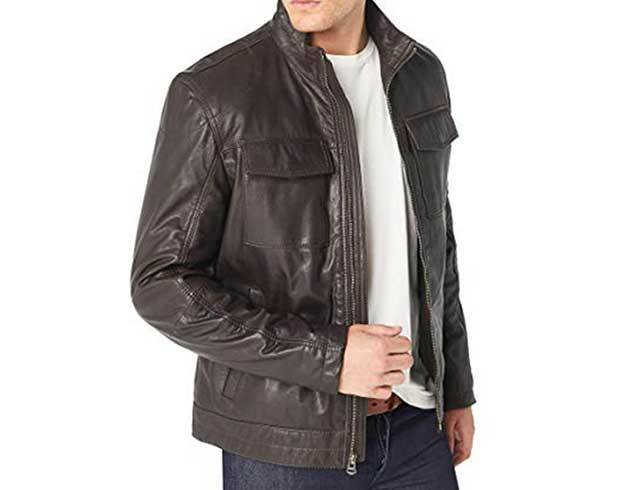 Crafted from 100% soft leather, this trucker jacket from Cole Hans exudes quality. The clean leather gives it a luxurious look. As minimalist and simple as it might appear, this jacket has a quartet of pockets that will hold all your essentials. Lightweight and durable, this is the perfect trucker jacket when you are looking for warmth and style on chilly autumns. Made from the corduroy material, this jacket from Trimthread is effortlessly so cool. The polyester lining gives it a comfortable and silky feel. The two patch pockets on the chest plus the hand warming side pockets give you extra storage space. 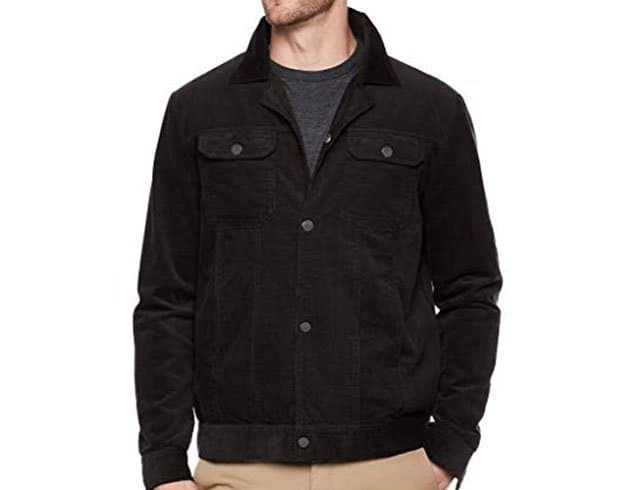 Whether you leave the snap buttons open for a clean look or snap them shut for a more finished look, you will agree with us that this corduroy trucker jacket beats any casual jacket in style. 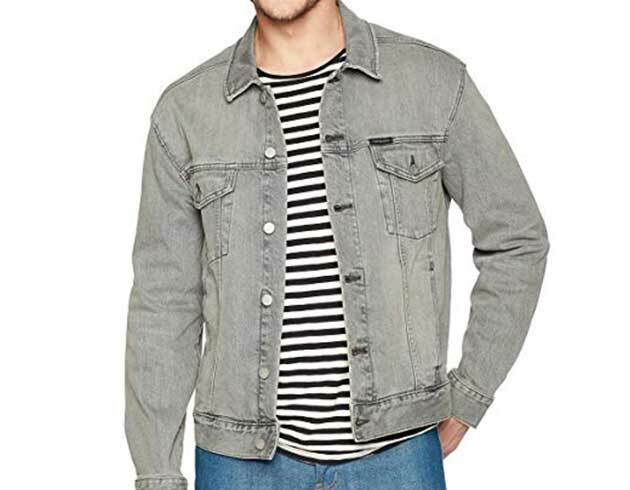 This denim jacket from Hudson comes lined with Sherpa for comfort and warmth. It oozes functionality and style. The two flap pockets and one hidden pocket give you enough storage space. Slightly oversized, this is the perfect layering jacket. Choose the white colour for a fresh and new look. If white is not your colour, go for the hardtail colour for a vintage look. Like all jackets from Lucky Brand, this trucker jacket is inspired by traditional American fashion and updated with modern additions. The result is an attractive classic jacket that stands out from the pack. Manufactured from a combination of cotton and linen, this jacket won’t rip or tear easily. The seams are carefully crafted to ensure durability. 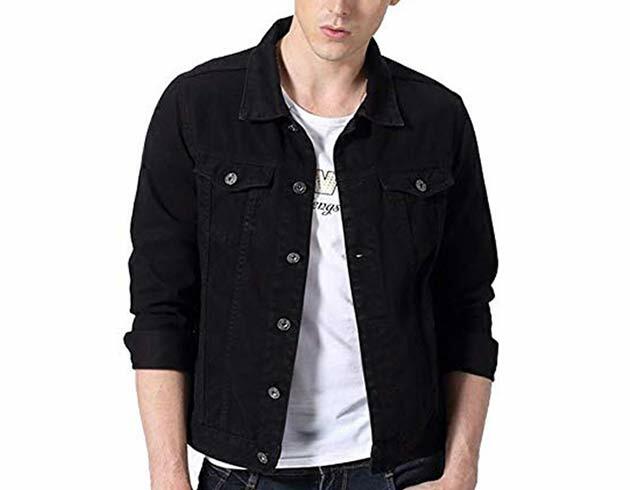 This jacket is a perfect fit that will give you a stunning look whether you are taking a stroll on a brisk autumn evening or having a picnic on a cool spring afternoon. Who said denim should be confined to indigo wash shades? Add some colour with this handsome Idopy green denim jacket. Made from 95% cotton material, this jacket won’t wrinkle or rip easily. We love the fact that it is priced at less than $50. Now you know you do not have to break the bank to have it. Featuring button up closure and flap chest pockets, this jacket is an excellent substitute for the stuffy blazer.